If you're lucky enough to live in Macon County, you're lucky enough! Macon County NC is home to the beautiful towns of Franklin, Otto, Highlands and Nantahala North Carolina. Located in the Blue Ridge Mountains, it has a lush terrain with rolling hillsides, rivers, streams and many amazing waterfalls. There are so many things to do... enjoy kayaking/fishing/tubing, whitewater rafting on the Nantahala River, gem-mining, mountain biking, hiking, and viewing waterfalls. If you like shopping, you're also in luck. When you need a break from all the activities, enjoy one of many great local restaurants! Macon County is known for it's many festivals throughout the year. It is also home to a beautiful state-of-the-art performing arts center, featuring many local, national and international entertainers. Click HERE to go to the Macon County NC Government website for many great resources and public services information. 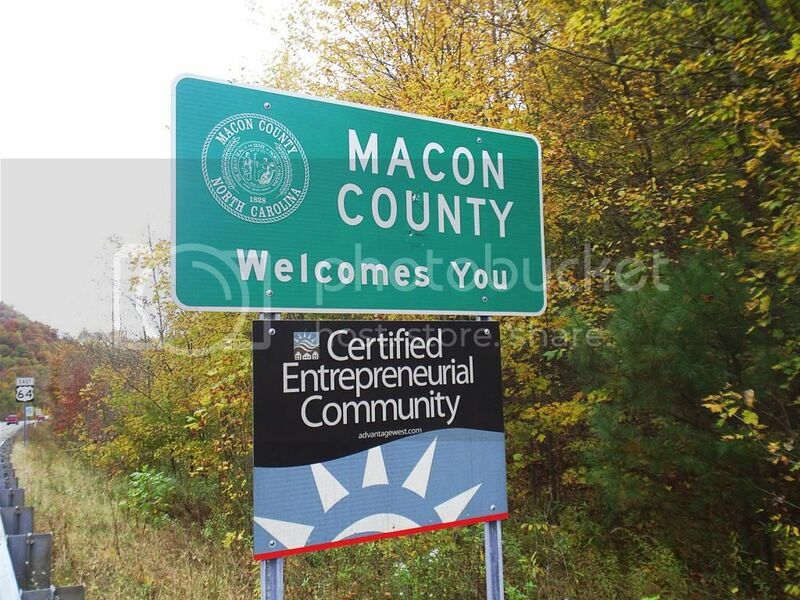 - Macon County is one of the fastest growing counties in North Carolina! - Macon County boasts an airport with landing facilities, plane rentals and flight lessons! - The Cowee Township area was the center stage on which would determine the future of two nations! - The famous potter Josiah Wedgwood used several tons of clay taken from Macon County in 1767 to use in his pottery!